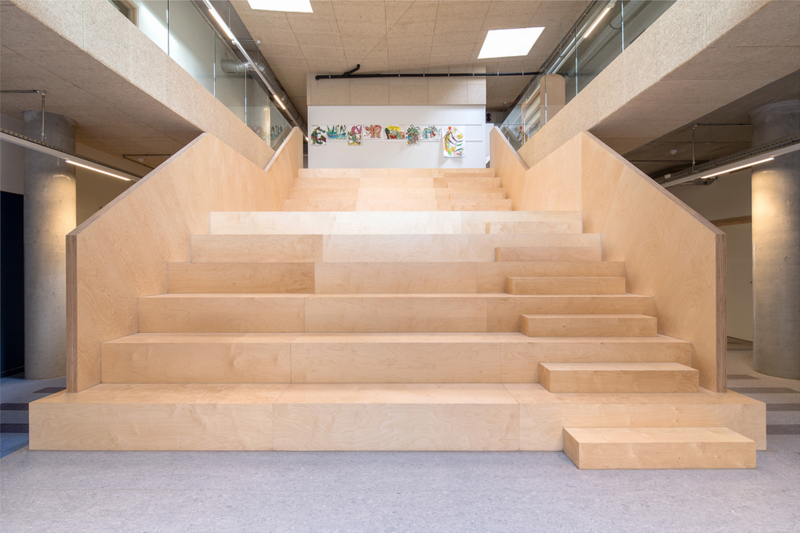 The project responds to the wish of Brussels to create an ‘active education’ school, abandoning the rectangular classroom concept where the teacher is central. 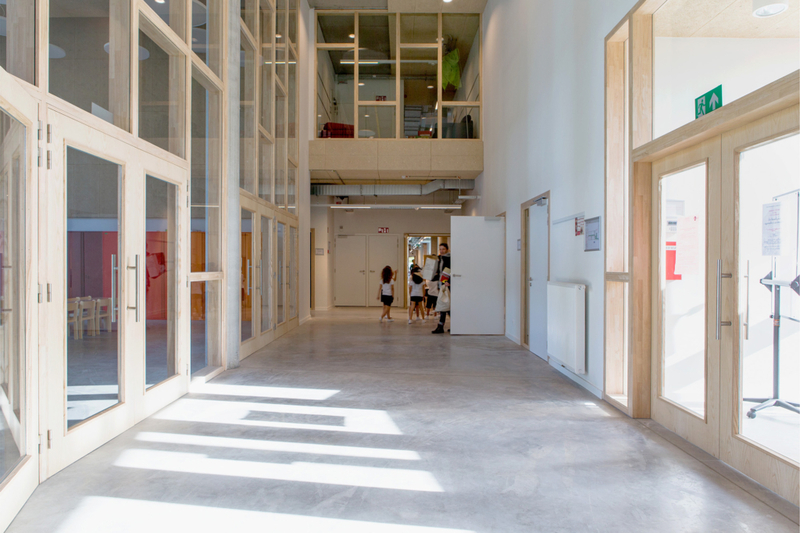 The classrooms are L-shaped and are built around a common area. The focus does not lie on reproducing knowledge, but on working proactively in the group: the children learn more from each other than from the teachers. 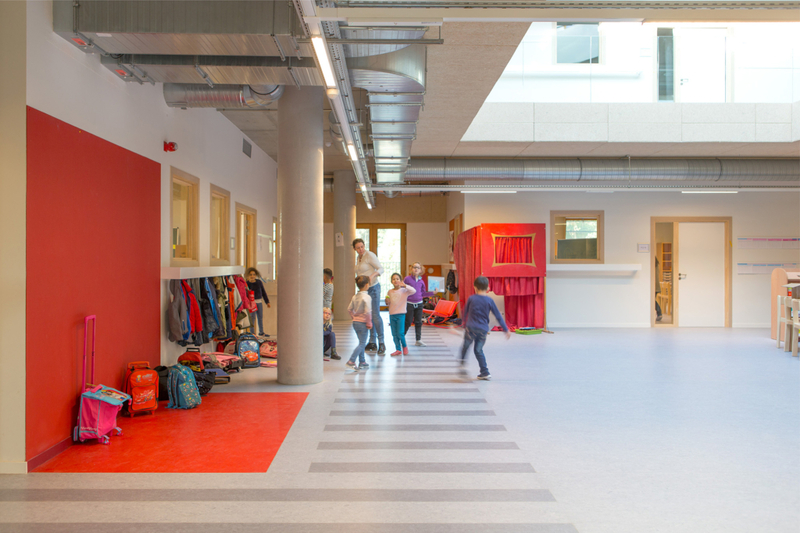 This school has created a stimulating indoor and outdoor space that tickles the senses. It has become an environment that will help children to develop their capacities and to express their imagination. 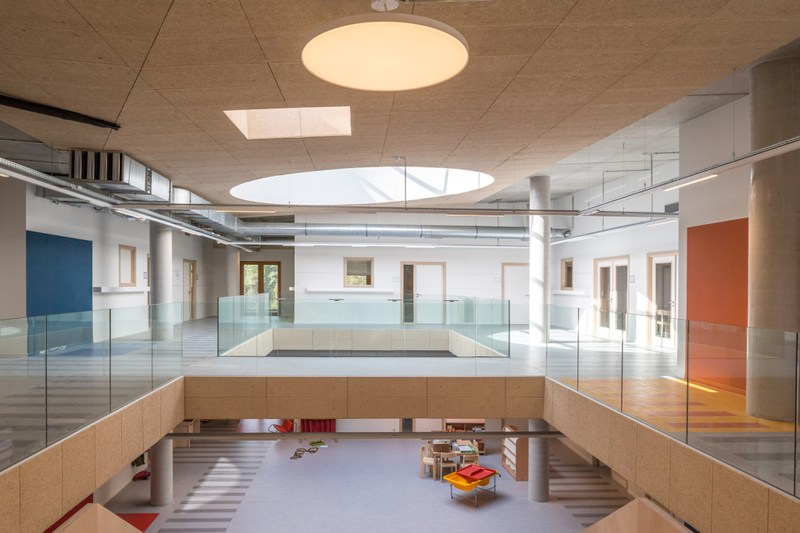 The complex is composed of a nursery school for 312 pupils, a primary school for 576 pupils, a sports hall and an outdoor installation that invites you to explore and discover some natural space right in the urban fabric. 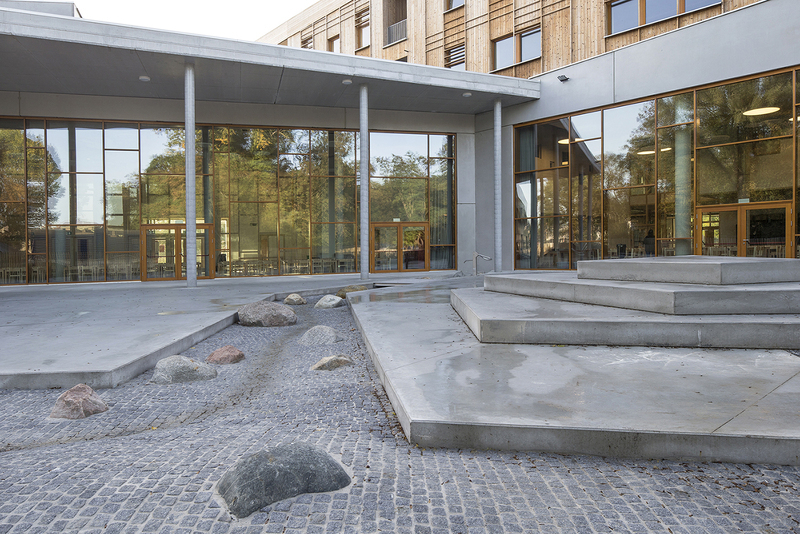 The building harmoniously integrates into the green surroundings. 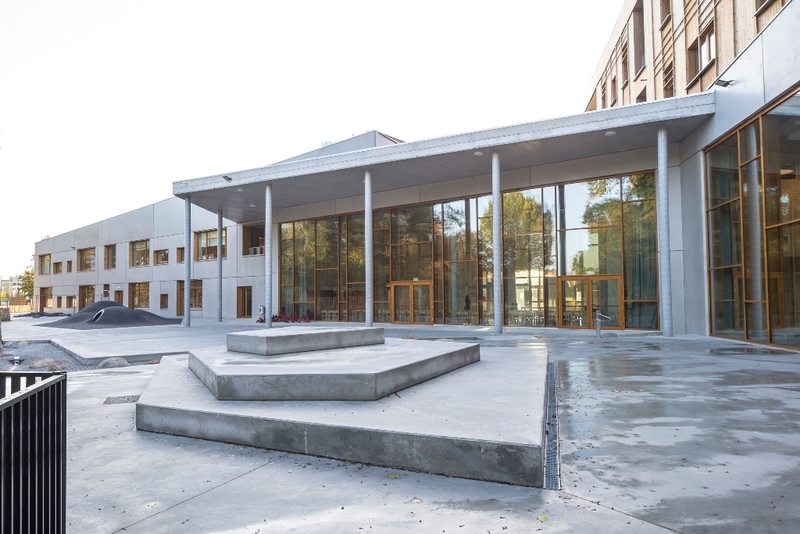 The new building is a sustainable, both in energy, social and educational terms. The different areas are adapted to different age groups. 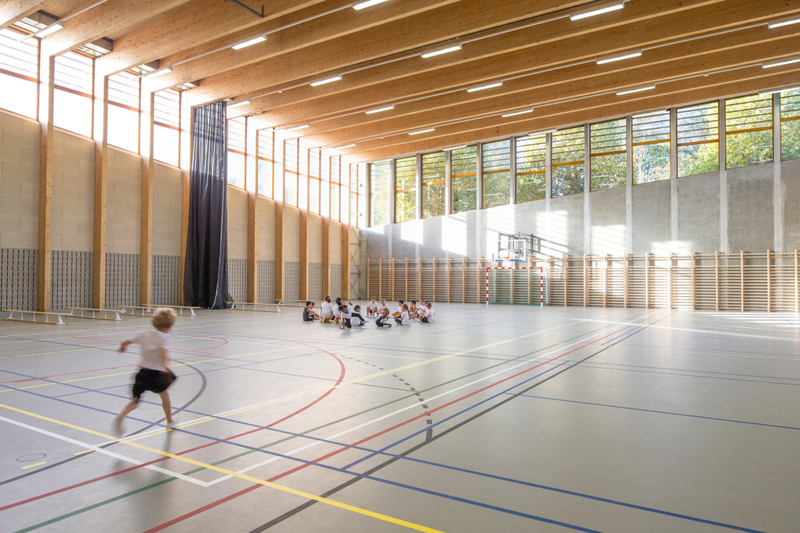 In terms of architecture, various atmospheres are created by the way of organizing and circulating, the different class typologies, the material, all specific for either the nursery school, primary school or the sports hall.